In six elegant, linked literary essays, Berry considers the degeneration of language that is manifest throughout our culture, from poetry to politics, from conversation to advertising, and he shows how the ever-widening cleft between the words and their referents mirrors the increasing isolation of individuals and their communities from the land. 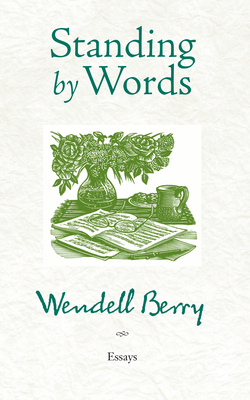 Wendell Berry is the author of more than fifty books of poetry, fiction, and essay. He was most recently awarded the Cleanth Brooks Medal for Lifetime Achievement and the Louis Bromfield Society Award. For more than forty years he has lived and farmed with his wife, Tanya, in Kentucky.